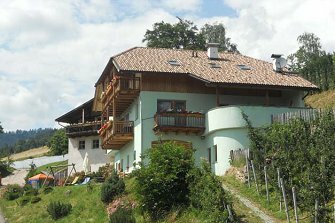 Farm with fantastic views of the Dolomites, right at the heart of South Tyrol with unique panoramic position. Above this Haflinger pony farm is the Salten, one of the most beautiful hiking areas in Europe. Its central location means you can quickly and easily get to the cultural towns of Bolzano/Bozen, Meran and Brixen-Bus stop just 50m away, Bozen-Jenesien cable car 15 minutes' walk away. Haflingerhof in Jenesien lies at 930 metres above sea level.